The Bernardo Park is one of the many known places/landmarks in Kamuning. 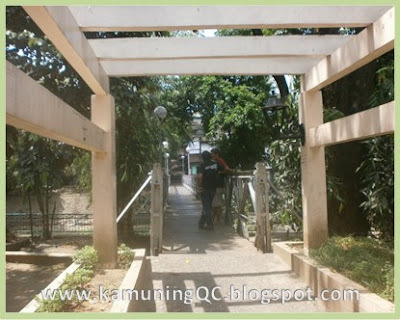 It was a park constructed during the tenure of former Quezon City Mayor Ponciano A. Bernardo, who served from 1947 until his death in 1949. (The park was later named after him). 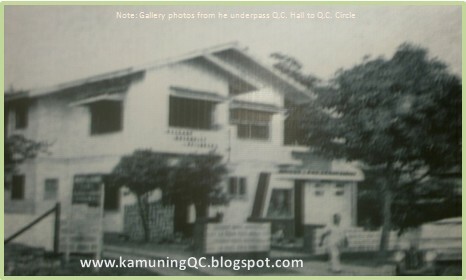 It was also during Bernardo’s term when Quezon City was shortly designated as the Capital City of the Philippines in lieu of Manila. 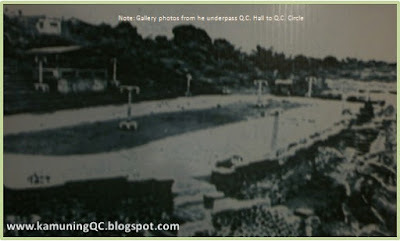 During the 1950’s & 1960’s, Bernardo Park was one of the beautiful places to see in Quezon City, a place to go for a picnic, biking, skating, or sight-seeing. My Nanay used to tell me the park was so popular then that a number of scenes from the movies of Sampaguita Pictures were filmed there. As a child (late 70’s & early 80’s), Bernardo Park for me is a place to play >> ride a bike, skate, and go back & forth crossing the old bridge (as a challenge thing ^_^). There was also the basketball court and across is the location of the swimming pool where they offer “free learn to swim” programs every year. 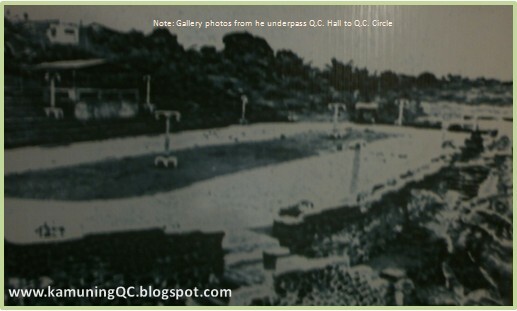 (I remember me and my cousins enrolled in that swimming program for three consecutive summers, with “Sir Luna” as our swimming coach :)). 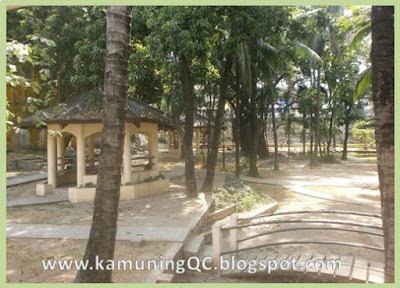 Today, the biking/skating area of the park is now half its former size, the other half is a basketball covered court, and new mini-park picnic area was constructed on the other side of the Lagarian creek. The walkway of the foot bridge used to be made of wood where you can see through the creek beneath, now its sheets of metal. The steel side railings seem to be the same original railings I used to hold on to as a child. 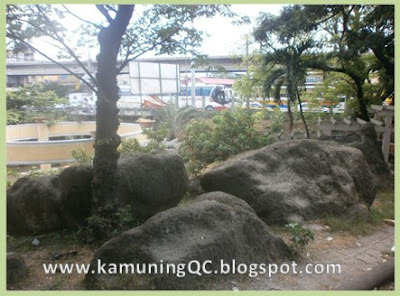 The big boulders of adobe rock today (also a part of the old original Bernardo Park). 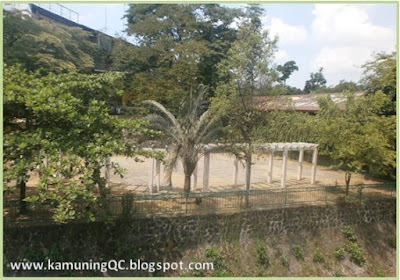 The entrance to Bernardo Park along EDSA on the side of Ramon Magsaysay High School. The steel gate to this pathway is always closed so you can enter the park via the basketball court near the foot bridge. Rehabilitation efforts were made a couple of years ago to save Bernardo park. Renovations and constructions were made to make it still look inviting to nearby residents, but personally I wouldn't go there for leisure walks as vagrants (palaboys, homeless, etc.) seem to be always present whenever I pass through the area. Now I only love the park for the good old memories they bring me. 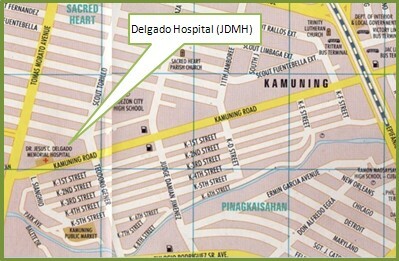 The Delgado hospital in Kamuning was established in 1948 as a maternity and children’s clinic servicing the early residents of Kamuning. Its founder, Dr. Jesus C. Delgado, started the clinic with the help of his wife, Carmen. Dr.Delgado was a graduate of the University of Santo Tomas in Manila and was a medical board examination topnotcher. He died in the 1980’s and later on his heirs renamed the clinic “Dr. Jesus C. Delgado Memorial Hospital” or JDMH in his honor. Today, JDMH is a licensed Department of Health (DOH) Level IV General Hospital and accredited by both PhilHealth and the Philippine Hospital Association. With over a thousand qualified staff and visiting physicians, JDMH now offers a wide range of medical and health care services which include: Obstetrics & Gynecology, Pediatrics & Neonatology, Internal Medicine, Cardiology, Pulmonology, General Surgery, Pathology, Radiology & Sonology, Endoncrinology, Gastroenterology, Nephrology, Oncology, Orthopedics, Urology, Opthalmology, ENT (Ear, Nose & Throat), Anesthesiology, Plastic & Reconstructive Surgery, Dermatology, and Dentistry. 4 S 1 What is the Bible and How to Use it? 4 S 4 What is the New Testament? 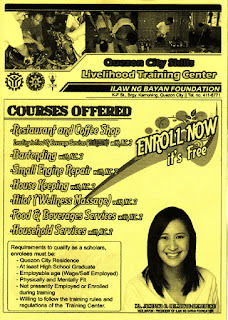 For any inquiries regarding the program, you may get in touch with Ms. Cecille at tel no. 929-0419. The Sacred Heart Parish (SHP) Church is really very special to me, it is where my family and I go to attend the holy mass. When I was young, I’ve attended and completed a number of “Simbang Gabi” here. I was married in this church and all my 3 children were baptized here also. This church has been a significant part of my life ever since I can remember. and Image of Sacred Heart of Jesus found on the right side area of the main altar. 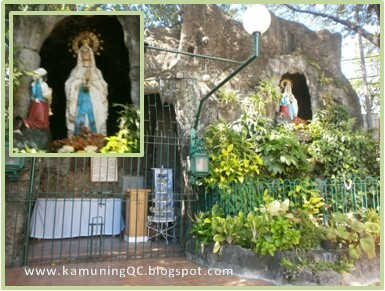 Grotto of Our Lady of Lourdes with St. Bernadette found on the corner of Sct. Ybardolaza & Sct. Fernandez Streets, facing SHP Church. St. Joseph MIssion Center found on the opposite corner of the grotto. 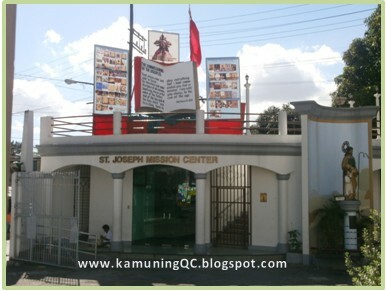 “The Sacred Heart of Jesus Parish - Kamuning is a Catholic parish in the Kamuning District of Quezon City in the Philippines. It was established on October 3, 1941. The parish has been in the pastoral care and administration of the Society of the Divine Word since even before its founding. 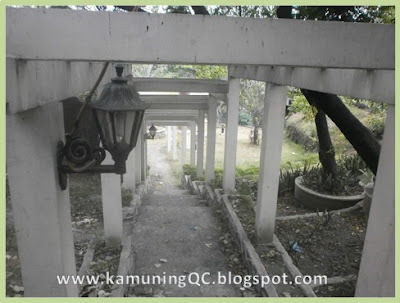 Kamuning was a government housing project of then Philippine Commonwealth President Manuel Luis Quezon. The Society of the Divine Word (SVD) was founded on September 8, 1875 by St. Arnold Janssen in Steyl, Netherlands. The SVD is one of the largest Ad Gentes Catholic religious male congregations in the world. 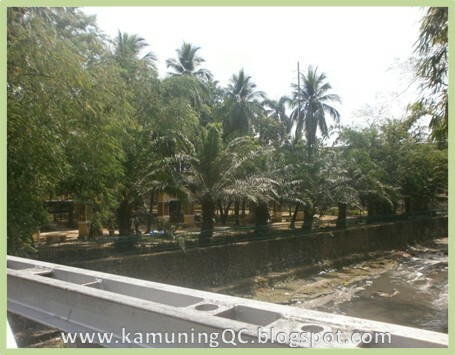 Kamuning, formerly known as Barrio Obrero II, was a housing project site for government employees and their families. 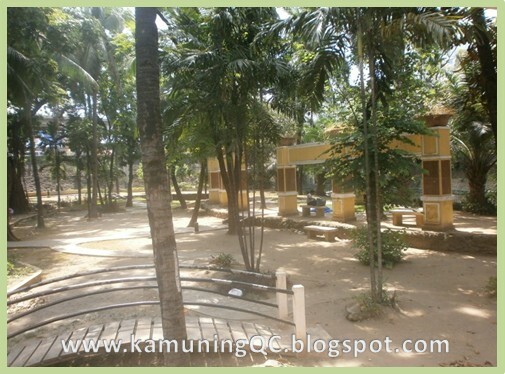 Late in 1939, the Kamuning Residents’ Association sought pastoral care from the Society of the Divine World (SVD). The First Mass was celebrated where the Kamuning Public Market now stands, on that year’s Christmas Eve. Sunday: 5:30am (Tagalog), 6:30am & 7:30am (English), 8:30am & 9:30am (Tagalog), 10am & 11:30am (English), 4pm (Tagalog), 5:30pm & 7pm (English), and 8:30pm (Tagalog). Novena to Perpetual Help: Wednesday after 6am mass and again at 5:30pm before the 6pm mass. Holy Hour Novena to the Sacred Heart of Jesus: Friday 5:30pm before the 6:30pm mass. Holy Rosary: Monday to Thursday & Saturday after 6:00 pm holy mass, Friday after 6:30 pm holy mass every & Sunday 3:15 pm. To all Kamuning residents with health problems or those suspecting that they have one, you now have the chance to seek professional medical advice for free. 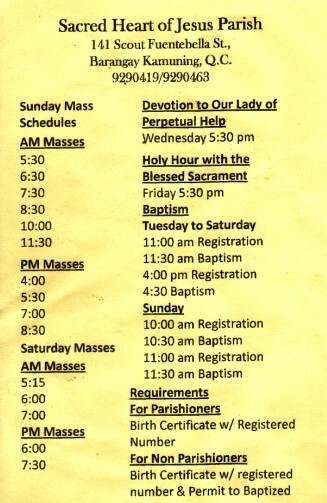 April 3, 10, 12, 14, 17, 19, 21, 24, 26, and 28, 2012 OR every Tuesdays, Thursday, and Saturdays of the month except during the Holy Week (Maundy Thursday & Black Saturday). 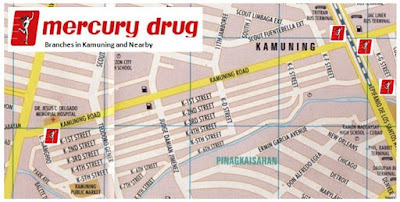 The free medical consultation service is a part of Mercury Drug Corporation’s program, the “Bantay Kalusugan” Free monthly clinic. Aside from the free medical consultation, the program also aims to provide the public access to free blood pressure check-up, free blood sugar screening, free hair/scalp/skin consultation, and free massage. To read more information about the program and for schedule & location of other free medical service in the future, you may visit their virtual clinic HERE. 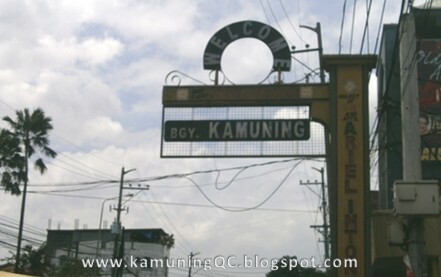 Hope you can share this good news to your love ones, friends, and neighbors in Kamuning. 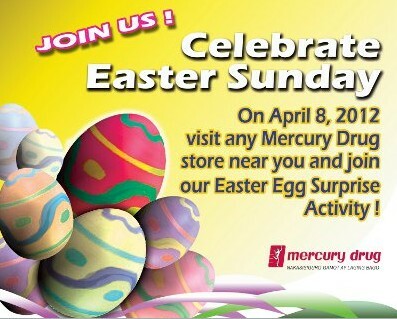 In celebration of the 2012 Easter Sunday, Mercury Drug Corporation will be having an Easter Egg Surprise Activity on all of its branches on April 08, 2012. To join - just visit any of their branches near you. 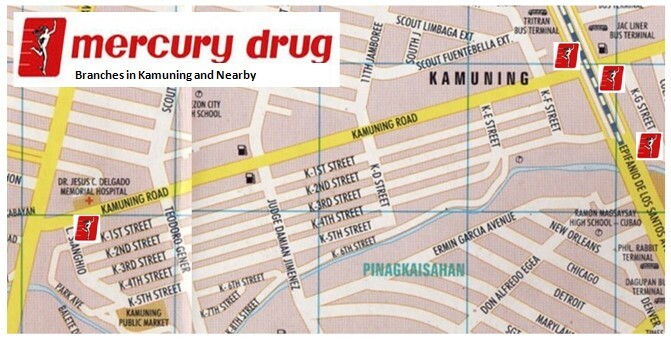 Click HERE to view Mercury Drug branches in and near Kamuning area. 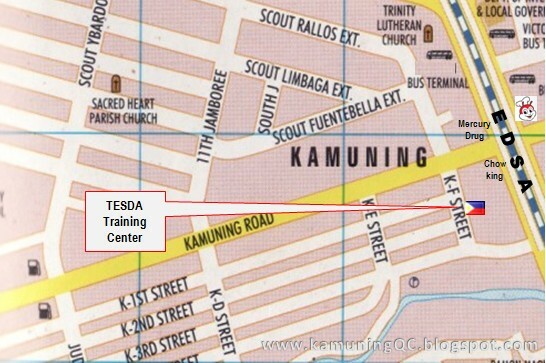 I want to share this Tesda-Accredited training center that opened up around two years ago very near our home in Kamuning. 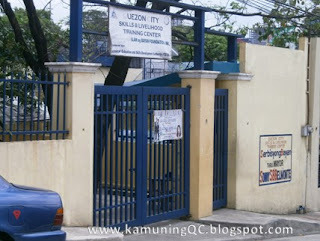 It is located on the site of the former Quezon City Girls Scout of the Philippines Council on K-F Street. The Admin Officer assigned at the center is Ms. Mira Macatao, a very good friend of mine and a former high school classmate at Trinity College of Q.C. (now Trinity University of Asia). 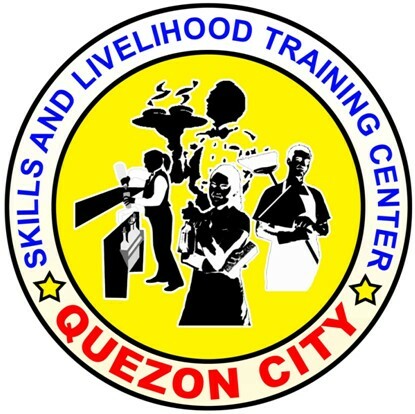 The training center is officially called the "Quezon City Skills Livelihood Training Center" or QCSLTC for short. It offers free vocational courses to qualified Q.C. residents. Courses include bartending, housekeeping, barista, and other skills in-demand here and abroad. 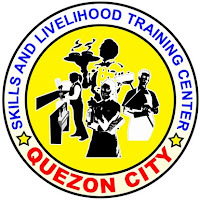 The QCSLTC is an accredited TESDA Training Center and recognized by the Quezon City Government. It is being managed by the Ilaw ng Bayan Foundation. The foundation is headed by Quezon City Vice Mayor Joy Belmonte (Ma. Josefina G. Belmonte-Alimurung). 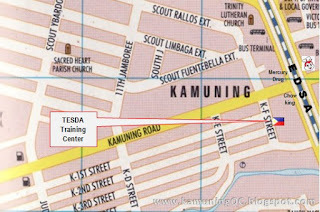 The training center is located along K-F Street, Barangay Kamuning, Quezon City. Office hours are from 8am to 5pm, Monday to Saturday and with telephone No. 411-6771. You can visit their Facebook page here. • Not presently employed or enrolled during training. 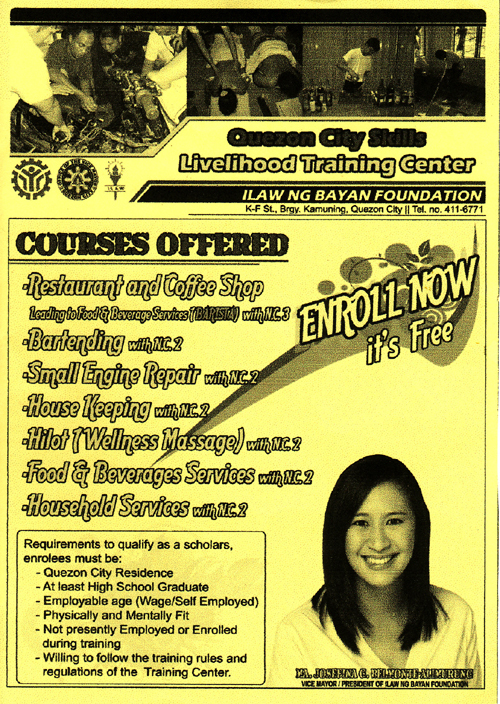 You may also learn a TESDA course via online - FREE! 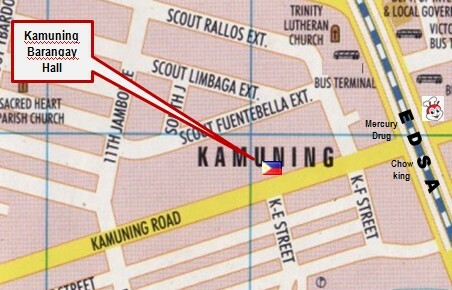 The Kamuning area use to reach up to the so-called "Scout Area". Barangay Sacred Heart is formerly a portion of Kamuning until the early 1960's and that's why some of the places in the Scout Area are named after Kamuning, like the Kamuning Elementary School (my alma mater ^_^). 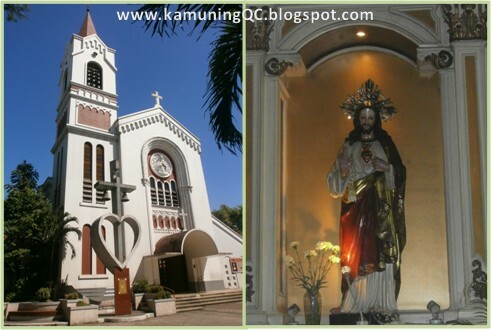 The SVD Church in Scout Ybardolaza was also known as the "Sacred Heart Parish Church in Kamuning. 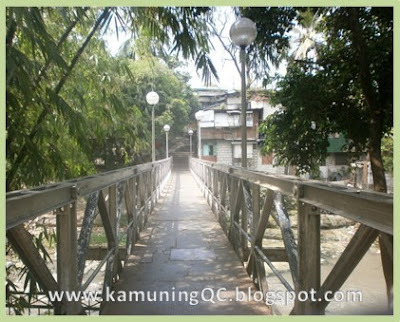 (As far as I can remember, I think former Brgy. Captain Feliciano Espiritu has served the Barangay longest?). 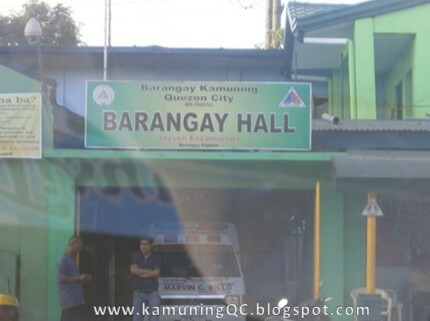 The Barangay Hall/Office of Kamuning is accessible by jeepney transport. It is two (2) blocks away from EDSA Highway (around 2-minutes walk). Coming from EDSA, it is located on the right side of Kamuning Road. So there you go, I hope you find this post somewhat useful :) Have a Nice Day!